British Gas: will the last customer to leave please turn off the hob. If you haven’t yet identified your cheapest energy supplier, there’s really no excuse for putting this off any longer. My quick and easy guide to doing this ASAP is at the bottom of this post. As you may have heard British Gas, the country’s largest energy supplier, has today announced that it is raising its gas prices by 35 per cent. This is the largest single price increase in its history, and one that is going to affect an awful lot of people: British Gas supplies gas and/or electricity to nearly half of all households in the UK. Its electricity tariff is going up too, by 9.4 per cent. 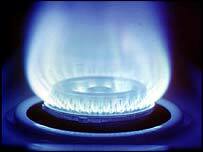 Since the beginning of the year, most families have seen their gas bills rise by £400 on average. Households are defined as falling into fuel poverty when they are forced to spend 10 per cent of their disposable income on heating and lighting their home. More than four million households are already estimated to suffer from this predicament. British Gas said it was not increase the amount it charges the 340,000 most vulnerable customers on its “essentials tariff”. Charities pointed out that it was not just the vulnerable that would be hit, but many middle-class families, already feeling the pinch from soaring food, mortgage and transport costs would be unable to cope. Like everyone, I was surprised to learn of such steep price increases. However, I was also stunned to discover that so many households are still with British Gas. There are a number of suppliers from which to choose – and wherever I have lived in the country, I have never known British Gas to be the most cost-effective energy supplier. It is quick and easy to locate a household’s cheapest energy supplier, and super-easy to transfer custom from one to the other. So why have so many households failed to switch? After all, price comparison sites such as uSwitch.com and MoneySupermarket are well-publicised. However, I suspect that customers of many decades standing are set in their ways, and/or remain unfamiliar with these online resources. When properties are rented, landlords may be loathe to take on additional paperwork when the issue doesn’t affect them. So for those who have yet to swap suppliers, here is my no-brainer guide to doing so. Seriously, that’s it. Their database will bring up the estimated prices for every supplier in your region. If you wish to transfer your custom to an alternative, cheaper provider: click the button, fill out another form and uSwitch will do it all for you. You just have to wait for the arrival of letters from your suppliers new and old, confirming the change. It doesn’t cost a penny. In our area, the cheapest provider is Southern Electricity. If we were with British Gas, we could be paying £250 more for gas and electricity every year. So if you haven’t done this yet, what are you waiting for? totally bollock, such a waste of time, ring twice for them to come out and there having even bothered.